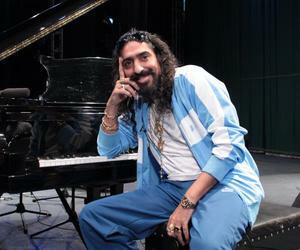 Flamenco singer Diego El Cigala, known worldwide for its famous phonogram Lagrimas Negras with Cuban pianist Bebo Valdes, is since Thursday in Havana filming a documentary about salsa origins. As part of a tour that has already taken him to Puerto Rico and the Dominican Republic, the Spanish singer made a stop on the island to also finalize the details of his upcoming tour with the Diva of Buena Vista Social Club Omara Portuondo. The material will also collect the influence of flamenco music in Cuba, a country that becomes vital point within the filmic itinerary which will also include a stop in Miami and New York, United States.